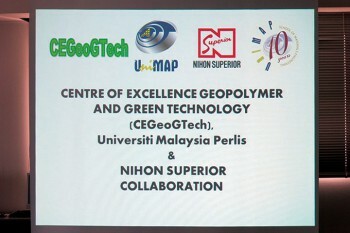 Nihon Superior Co., Ltd, a supplier of advanced soldering materials to the global market has signed a Memorandum of Understanding (MoU) with University of Malaysia Perlis (UniMAP) on cooperation and joint research on lead-free solder development over a three year period from April 1, 2013. 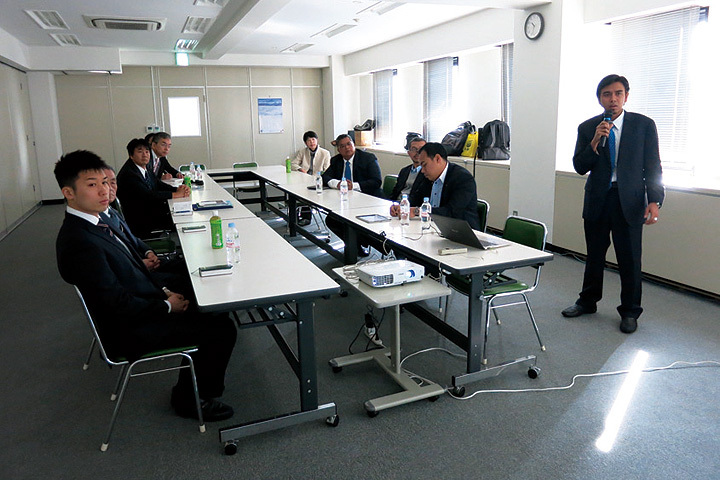 The signing occurred at Nihon Superior’s Osaka headquarters on February 2nd 2013 in a ceremony in which UniMAP was represented by Vice-Chancellor Brig. Jen Datuk Professor Dr Kamarudin Hussin. Accompanying Dr Hussin were Dean of the UniMAP Engineering & Innovation Center, Associate, Professor Che Mohd Ruzaidi Ghazali and two researchers from the Center of Excellence Geopolymer and Green Technology (CEGeoGTech). Dr Hassin noted with pleasure that while UniMAP already has collaborations with Japanese universities　this agreement is the first with a Japanese company. In co-signing the MoU with Dr Hussin, the president of Nihon Superior, Mr Tetsuro Nishimura, said that cooperation with academic institutions in South East Asia is part of his company’s plans for closer engagement with that region. Mr Nishimura observed that ASEAN countries are already major centres of electronics manufacturing and are moving increasingly towards more advanced technologies as expertise within the region increases. He said that Nihon Superior can contribute to, as well as benefit from, this progress by helping the development of soldering technology in Malaysia. Reflecting that commitment to the South East Asia region Nihon Superior is planning to develop the application laboratory at its manufacturing facility in Ipoh, Malaysia into a regional research center particularly focussed on the development of products that meet the particular requirements of customers in the region. Mr Nishimura looked forward to close cooperation between that laboratory and UniMAP, which is already well equipped for research in the field of soldering technology with facilities for PCB manufacture and assembly. Also present at the signing ceremony was Dr Kazuhiro Nogita, the director of the Nihon Superior Center for the Manufacture of Electronic Materials (NS CMEM) at University of Queensland. NS CMEM will be actively involved in this cooperative venture with Dr Nogita spending time at UniMAP assisting in the development of solder research. Staff from UniMAP will be undertaking research on soldering materials within NS CMEM. After the ceremony Dr Hussin and his colleagues were taken on a tour of Nihon Superior’s R&D and distribution center at Toyonaka. 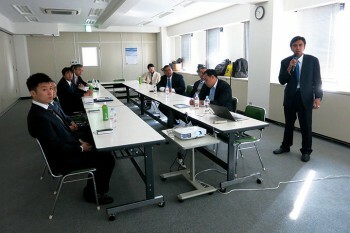 ( Photo above ) Signing ceremony of the joint research was conducted in the third floor of the headquarters Nihon Superior. Left：Dr. Kamarudin Hussin of the Vice-Chancellor of UNI MAP. Right： Tetsuro Nishimura of the President of Nihon Superior. ( Photo upper left / upper right ) Presentation to introduce each other were made in R & D Center.